My name is Ron and I am 50 yrs old, stand 6 ft tall, with dark brown hair and kinda blue eyes. I do not smoke or drink except a wine cooler once in awhile. 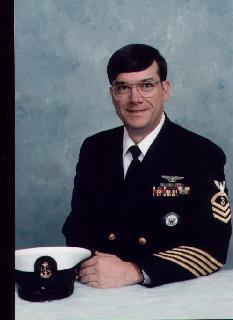 I have served in the Navy for 24 yrs and retired as a Chief Petty Officer. I now work for the state as a correctional officer. I live in Lenoir and work in Morganton, NC. I like to dine out, go to the movies and dance the night away. I like the oldies and country western music. No opera or rap for me. I like to watch the sun rise out of the depths of the sea and feel the surf run across my toes early in the morning. I Have been told that I have a very good sense of humor. I feel like Peter Pan sometimes cause I am not ready to grow up or old just yet. Live Long and Prosper!!! Here is where you can keep any diary notes TO YOURSELF about Navyman7. Nobody can see them but you.